Uzbekistan Airways received the first visa-free tourist from Italy. A tourist arrived at the capital of Uzbekistan on the flight of “Uzbekistan Airways”, which became the first guest to arrive from Italy under expanded visa-free provisions. In accordance with the Decree of the President of the Republic “On additional measures to accelerate the development of tourism in the Republic of Uzbekistan”, Uzbekistan introduced 30-day visa-free stays for citizens of Israel, Indonesia, South Korea Malaysia, Singapore, Turkey, and Japan in February 2018. The regime was extended to Tajikistan in March, France in October and to citizens of 45 additional countries from February 1st, 2019, including the Italian Republic. Representatives of the NAC and the capital’s airport met the first “visa-free” tourist at the “Tashkent” international airport named after I.Karimov, he was presented with souvenirs and brand products of the airline. A guest from Italy, Giglio Massimo, arrived in our country for the first time, during a week-long tour, plans to visit all the sights of the capital and take a closer look at the rich history of our region. He said that he had heard a lot about Uzbekistan, its ancient history and, having heard about the introduction of a visa-free regime, decided to come and see all this with its own eyes. He also noted the convenience of direct flights from Milan to Tashkent, he also liked the service on the board. Expressing gratitude to the crew for a comfortable flight, he wished success and further prosperity of the airline. It should be noted that the simplification of entry and stay in the territory of our republic of citizens from a number of foreign countries contribute to the strengthening of cultural, scientific relations and educational cooperation at the interstate level, as well as a significant increase in investment, joint business projects and tourist flow to Uzbekistan. Uzbekistan Airways operates direct passenger flights from the cities of Italy - Milan, and Rome - once a week, during the summer navigation period their number will increase to 2 times a week. 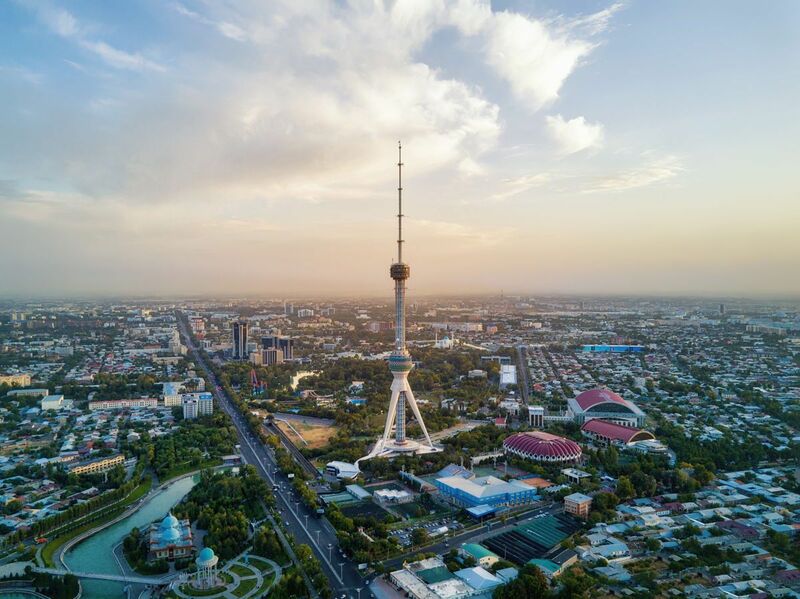 Overlooked by most travelers in favor of the stunning Silk Road cities of Samarkand, Bukhara, and Khiva, Tashkent, the capital of Uzbekistan, is a city filled with Islamic and Soviet architecture, home to more than 4 million people, making it the largest city in Central Asia. See hotel deals in Tashkent.